Mark Horan is a life-long master craftsman and general contractor who believes building beautiful homes is a true partnership. He personally devotes himself to the collaboration with his clients to ensure they get their ideal home for themselves, their families and their ever-changing lifestyles. Recognized as a progressive and extremely talented contractor, Mark’s philosophy is built on a strong foundation of knowledge and experience that began at an early age. Born on Cape Cod, Massachusetts, he is one of seven siblings who worked side-by-side with his brothers and sisters for his father’s company. Mark spent his summers and after school time doing everything from framing to carpentry to landscaping – disciplines he still draws from today. Constantly striving to increase his expertise, Mark is continually educating himself in a variety of cultural aesthetics as well as modernizing his company with advanced sustainable, efficient and smart technologies. Mark is driven by the desire to improve on each project from the last, and to perfect his craft. Since he began his own business in 1992, Mark continues to be devoted to participating in every aspect of development and establishing ever-growing relationships with each individual client. The foundation of his success is built on strong communication and flexible availability. 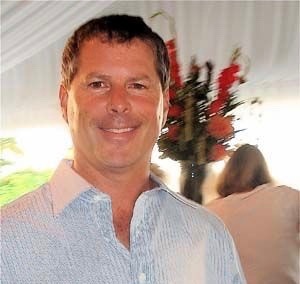 Mark Horan’s innovative and extravagant craftsmanship has bestowed him with the honor of being acclaimed in magazines such as Coastal Living, Yankee Magazine, Victorian Home Magazine, Romantic Home, Boston Design Guide, Southern New England Home and Luxe Interiors and Design. In Mark’s leisure, he commits an abundance of love to his family and community. He lives in Newport Rhode Island with his wife, a physical therapist and their beautiful baby daughter. Mark is passionate about involving himself within the community and since 2001 he has been a dedicated owner of the prestigious Newport Gulls, a collegiate baseball team. Mark sits on the Board of Directors of the Newport County Boys and Girls Club and supports numerous local events through out the year. Mark is an active member of the RI Association of Builders. A graduate of Taber Academy and Eckerd College, Mark enjoys golf, baseball, travel and collects art in his free time.